Vein access is one of the most commonly performed medical procedures carried out by health care workers. From blood draws to PICC lines, accessing veins is a critical part of delivering patient care. Most people assume that finding a vein is the most important factor in determining the success of an IV access attempt. While this sounds logical, researchers took an interest in this area and studied whether being better able to see a vein was enough to ensure successful venipuncture. As you might have guessed, the answer is NO. 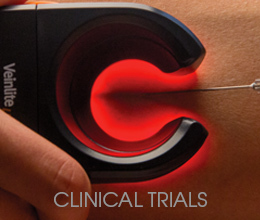 A survey of published randomized clinical trials performed with new infrared vein finder devices shows marginal or no improvement in vein access success rate when compared to the standard method used(1). This shouldn’t come as a surprise to clinical practitioners who access veins on a regular basis. They know from experience that just seeing the vein is not sufficient for a number of reasons. Several important factors can negatively affect vein access success rates. Rolling veins – The veins in the human vascular system are not fixed and immovable. When venipuncture is attempted, there is a high probability that the needle will “roll” the vein (move it aside) if the needle is slightly off-center. Think of a pile of cooked spaghetti. If you try to put a needle into one noodle and the needle is off-center, it will probably push the needle aside instead of puncturing it. That same phenomenon happens under the skin, causing patients distress, discomfort and pain with every failure. Problems with Anchoring veins – To address the issue of rolling veins, it’s important to learn to anchor a vein during a vein access attempt. This stabilizes the vein to keep it from rolling or moving sideways. The conventional way taught to health care workers is to place a thumb on the proximal part of the vein and pull the vein downward to stretch it. A stretched vein will "roll” less. However, applying pressure in this manner blocks blood flow in the vein and reduces the vasodilation effect of a tourniquet. As a result, compressing the vein and stopping blood flow are counterproductive in achieving better IV access success rates. The correct way to anchor a vein without blocking blood flow in the vein, is to compress the vein distal to the access point. Pressing down on the vein above the point of access causes a local dilation of the vein similar to a tourniquet. This engorges the vein. The health care provider can then pinch the vein on both sides – like you might do in our spaghetti example, to keep it from moving. However, anchoring this way is not recommended because of the risk of an accidental stick from the needle. How Can the Vein be Anchored and Stabilized? 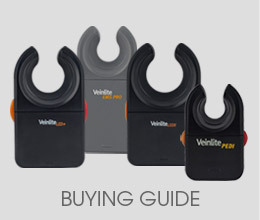 At Veinlite®, we design each of our vein access products to meet three very distinct requirements. These requirements were shaped over years of working with and observing vascular surgeons performing sclerotherapy of varicose veins. As a result of these insights, only Veinlite® devices have been clinically proven to improve IV access success rates over the standard of care. What makes Veinlite® products so effective? A uniform area of transillumination to help image the deeper veins (and vascular network) more clearly. 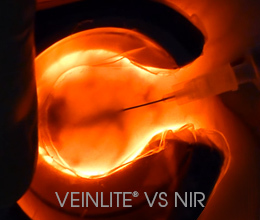 Veinlite® products provide patented side-transillumination lighting that penetrates the skin to a depth of 6mm. 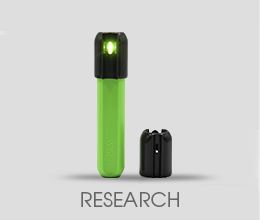 This circular “ring” lighting makes the area translucent for identifying venous structures quickly and effectively. The vein has to be anchored for the injection of sclerosant, without impeding blood flow. Veinlite® designed and developed a unique C-shaped opening in the circular light ring. 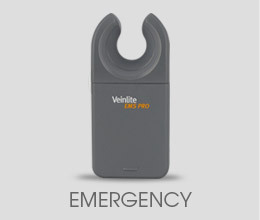 This allows the device to be pressed down on each side of the vein to prevent it from rolling. The opening also allows blood to flow through while anchoring the vein. To minimize the pain during needle insertion, it is necessary to stretch the skin for quick needle entry. 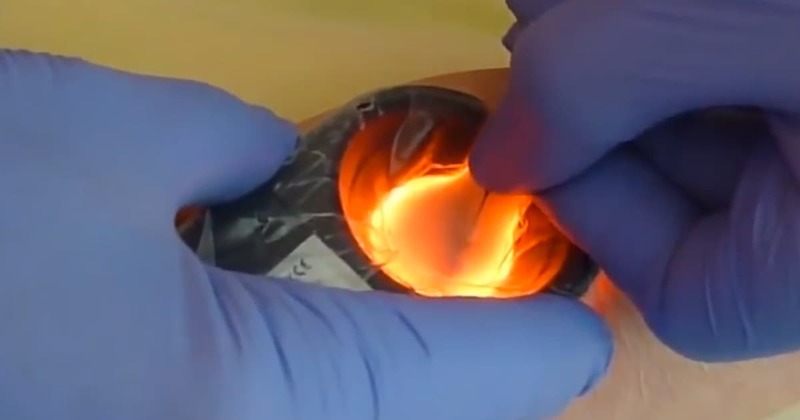 This can easily be achieve with Veinlite® by pushing back on the ring light during venipuncture. 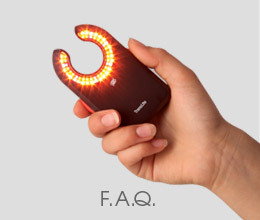 In conclusion, the unique ring light geometry of Veinlite® products delivers more than a “vein finder.” It improves vein access by providing effective vein imaging, vein anchoring and stretching of the skin – all in a simple, hand-held device. 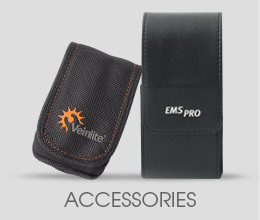 Furthermore, using Veinlite® requires little or no training. 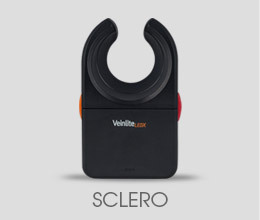 A simple overview provides all you need to know in order to use any Veinlite product successfully, in any setting: general vein access, emergency medicine or sclerotherapy. Does Veinlite® Technology Improve Vein Access? As you understand by now, the answer is YES. 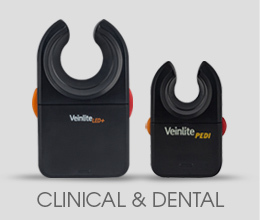 A recent randomized clinical study shows that Veinlite® devices recorded 100% success rates after two attempts in children and adults. In fact, first time success rates in children under 10 years of age is an astounding 93% success rate (2). Cuper NJ, de Graaff JC, Verdaasdonk RM, Kalkman CJ. Near-infrared imaging in intravenous cannulation in children: a cluster randomized clinical trial. Pediatrics. 2013 Jan;131(1):e191-7. Gumus M, Başbakkal Z : The Effect Of Using Vein Imaging Device In Peripheral Venous Catheter Application On The Success Of The First Attempt. Pediatr Emerg Care (In Print) 2018.